Charming Turn-of-the-Century West Marine Brick 2-story. Inviting front porch made for a swing. 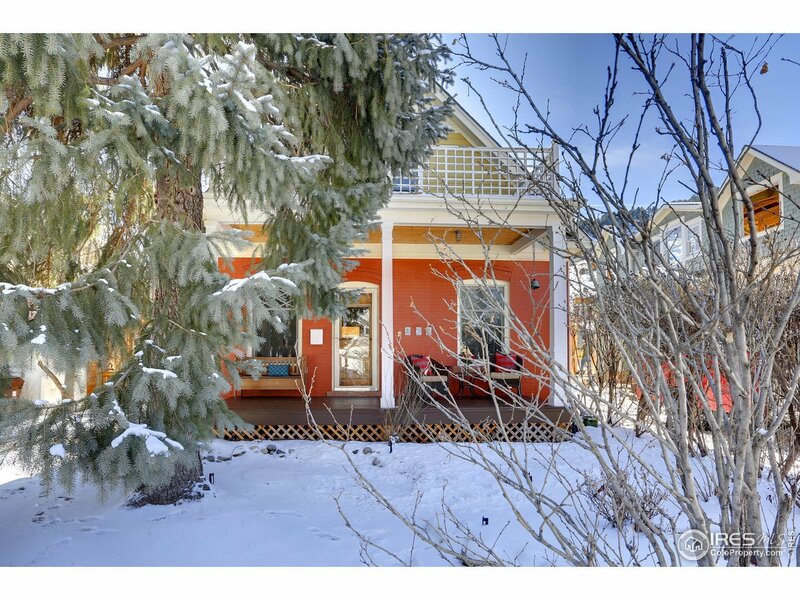 Sunny open main w/wood flrs & 9&apos;ceilings.Formal Living rm w/gas fired Vermont casting stove, Dining w/coffered ceiling, 2 main flr beds for guests/office.Kitch/dining addition opens to outdoor room/flagstone patio & amazing views up Flagstaff Mtn!2 lrg beds up w/Flatirons,Flagstaff,Mt. Sanitas views.Updated kitchen w/lrg S windows, maple cabs, & SS appl.Former garage now heated yoga studio. A must see!